It starts with a casual recommendation from a friend and then, before you know it, you're three series deep into a TV show that until a few days ago you never even knew existed. On-demand boxsets have a lot to answer for when it comes to eating up our time. Having said that, despite their fiercely addictive nature, you have to admit they serve as a pretty good travel companion. Long-haul flights, epic airport transfer times and even a distraction when you need something to help you with jet lag. They can also inspire travel. The southern US state of New Mexico has appeared in numerous TV shows and movies as a result of the infamous weather balloon/UFO that crash landed in Roswell in 1947. But it's the ubiquitous AMC TV show Breaking Bad that has put the desert state back on the map by basing the whole series in New Mexico’s largest city: Albuquerque. 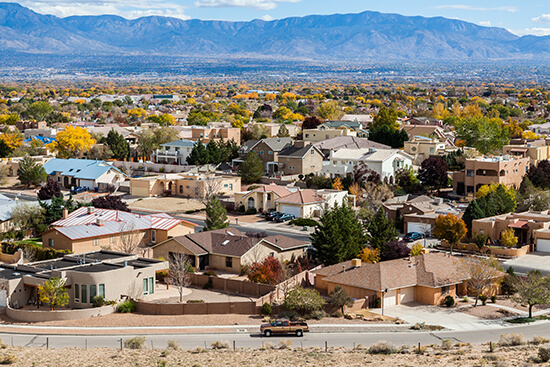 Until now the city has always been overshadowed by the state capital Santa Fe but, thanks to Breaking Bad, Albuquerque has become an unlikely tourist hotspot. And the things to do don't just revolve around Walter White's movements, there are plenty of museums, gardens and cultural centres to keep visitors occupied. The Netflix TV series about the visually-impaired superhero Daredevil is based in the gritty Manhattan neighbourhood of Hell’s Kitchen. This one takes a bit of poetic license as the original Daredevil comic was released in 1964 when the real Hell’s Kitchen actually resembled the rough depiction it got in its cartoon artwork. The TV show reveals a similarly styled Hell’s Kitchen, which actually doesn’t exist anymore. Good old street criminals have been exchanged for snap-happy tourists as this area is actually rather lovely and packed with unique eateries, like the tasty Bar Bacon. 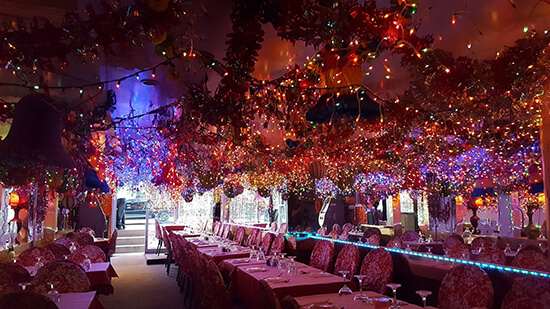 Also featured in the show is the wonderfully illuminated Panna II Garden Indian restaurant (pictured above), actually in East Village rather than Hell's Kitchen, but well worth a look when you’re next in town. This is a tough one as Game of Thrones uses numerous picturesque filming locations throughout Europe. But I have chosen my personal favourite – Dubrovnik, aka King’s Landing. It’s the stunning Old Town of the Croatian capital that, with the aid of some CGI, the GoT producers have transformed into the first city of the seven kingdoms. The awesome Baroque architecture, shimmering marble streets and well-preserved city walls are simply beautiful. Once you throw in the stunning location overlooking the Adriatic Sea and an enviable Mediterranean climate, it’s hard to see why more TV producers aren't finding excuses to shoot in Dubrovnik. 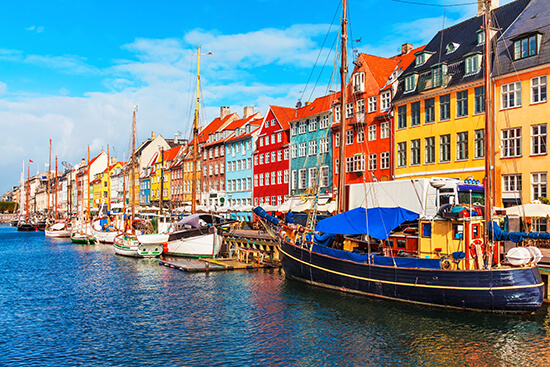 With its gorgeous waterways, chic industrial design and scintillating restaurant scene, the Danish capital is so appealing that it seems quite bizarre that some of television’s darkest crime dramas are based here. The term ‘Nordic Noir’ has been coined to refer to Danish cult TV series such as The Killing, which was so successful it got a US remake. Despite the sinister themes of this gripping show, the beauty of Copenhagen shines through. Such as the upmarket neighbourhood of Østerbro – home to the show’s protagonist Sarah Lund. It’s also a top shopping spot if you needed another excuse to visit. By heading up the notorious Medellin cartel in the eighties, Pablo Escobar did little to promote tourism to his beloved city and indeed Colombia in general. The Netflix show Narcos tells the story of Escobar’s rise as a drug kingpin in dark detail and, in doing so, it succeeds in making Colombia look like a pretty scary place. 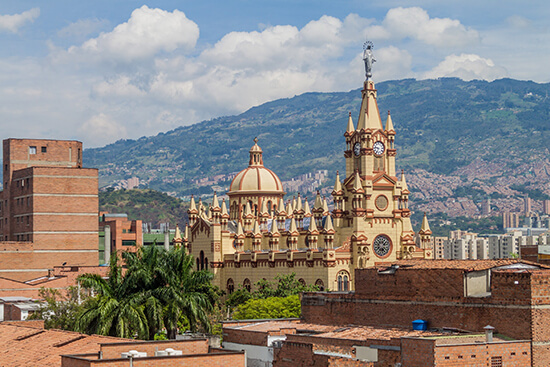 Fortunately, modern-day Medellin is nothing like the place portrayed in Narcos; in fact its infamous reputation is long gone. These days it’s a cosmopolitan city with a thriving creative scene and, thanks to year-round good weather, the nickname 'City of Eternal Spring' is definitely not misplaced. I’m not personally a fan of this show but I really wanted to feature Australia in this blog and Neighbours is just too much of an obvious choice. Plus this show is not based in a city, which makes it a bit different. It’s usually the Tropical North Queensland that is best associated with lush Australian rainforest but, actually, I’m a Celebrity… is filmed in New South Wales, less than an hour from Byron Bay. The show is shot in the ‘jungle’ that surrounds the pretty township of Murwillumbah. 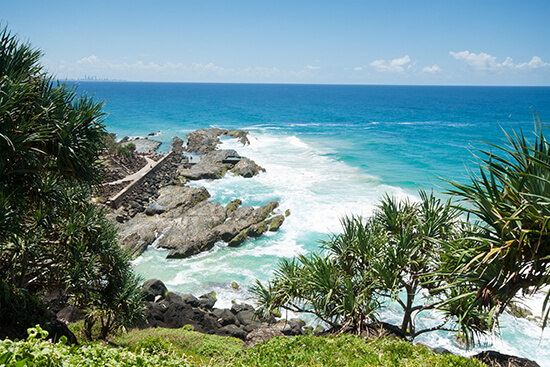 Aside from having five World Heritage National Parks on its doorstep, what the show doesn’t reveal is that Murwillumbah is also only about 15 minutes from the stunning beaches on the Tweed Coast. This makes it a pretty appealing place to stop if you are taking a road trip along the East Coast. As the story is based in the Himalayan foothills of Northern Indian you’d be forgiven for assuming that this would be the most appropriate location to shoot the Channel 4 drama. The magnificence and grandeur of the famous mountain range certainly have me hooked and, even as I write, I am planning my first hiking trip to… well Nepal actually, but that’s still Himalayas. Which is more than can be said for the filming location of Indian Summers. Producers must have decided to shoot the show in the Malaysian state of Penang because the enchanting fusion of colonial architecture and Asian colour work perfectly when it comes to painting a vibrant heritage impression. 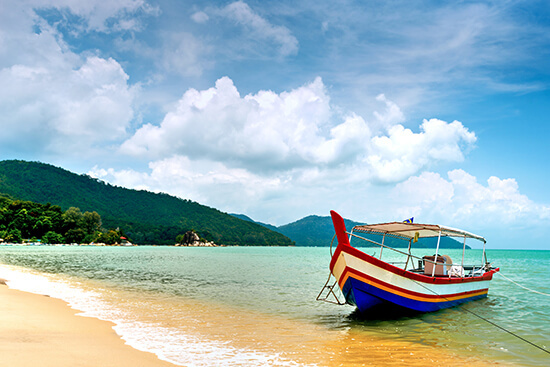 We're not complaining though, it's an incredible place, Eastern Asia in microcosm and bursting with dense jungle, quaint fishing villages and pillow-soft sands where palm trees have been known to sway. Feeling inspired? Book an appointment with one of our Travel Experts today to start planning your TV-inspired holiday.